Oh this crazy weather of ours. I really hope this isn't what Summer is going to look like this year. The weather has been everywhere this week, humid/warm, rainy, super hot, gloomy and cold. What's the weather been like for you? Luckily the day it was pretty warm out I decided to make the kiddos an after-school snack that they could enjoy. I had some fruit in the fridge and decided to make fruit popsicles. Let me tell you, these are super easy to make and take little to no time to prepare. This by far has been one of my favorite popsicles to make and I've been making a lot lately. I enjoy making these for my kids. Their not expensive to make and I know exactly what's going in them. I hope you all make these this Summer and enjoy them. Cut up 2 cups of Kiwi and add them to a food processor. Pour in one tablespoon of sugar and blend until a thick, but smooth consistency. 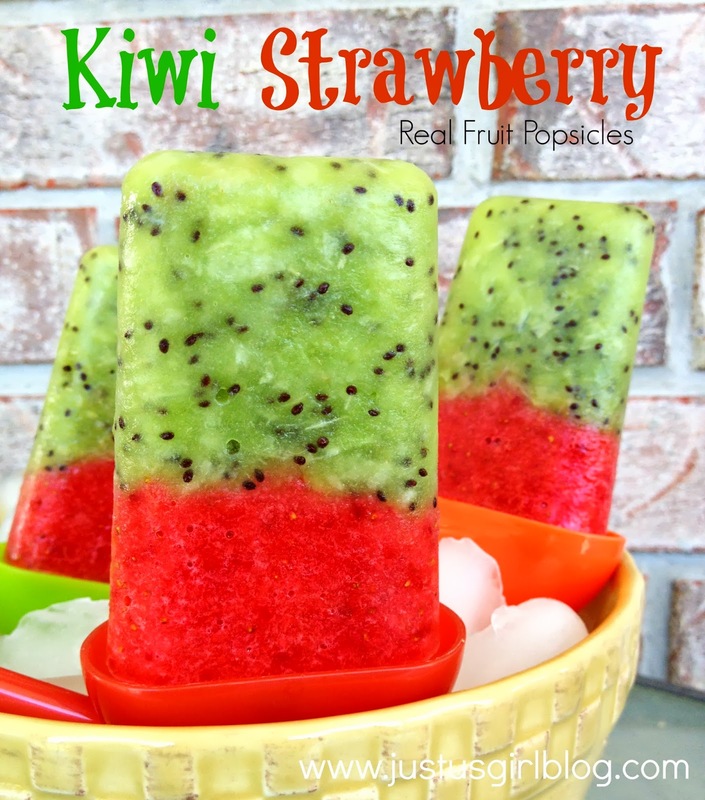 Add Kiwi into Popsicle mold and rinse food processor and repeat the steps with your strawberries. After adding strawberries in Popsicles molds place in freezer for 4-6 hours. Serve and enjoy!